Published May 25, 2017 Filed under Commentary, Under Our Dome, USN Columnists, Utah. Total of 1 comment in the discussion. The Republican “Count My Vote” elites have made it possible for Utah progressives to turn Utah’s third congressional district blue now that Congressman Chaffetz has resigned. Given the strong Republican makeup of the district and the short timeline to gather signatures this would be an extremely difficult, but not impossible task. Here’s how it could work. First, the progressives would identify one, and only one, progressive to run as a Republican in the August, Republican primary election. Then they would collect 7,000 signatures by June 12 in order to get that progressive candidate on the Republican primary election ballot. This would require that progressives either change their existing voter registrations to Republican or register for the first time as Republicans if they are not currently registered to vote. A website already exists to help progressives register as a Republican in just 60 seconds. 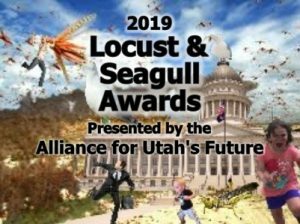 In addition, progressives could procure a copy of the Utah voter list for the third congressional district and ask inactive Republicans—those who haven’t voted in recent elections—to help them get a progressive Republican on the ballot. Progressives wouldn’t waste time on active Republican voters because they would be targeted by Republican candidates who were also collecting signatures. Once the signatures were collected and submitted, progressives would continue to re-register and register individuals who would support their progressive Republican candidate in the August primary. If there were multiple Republican candidates on the ballot, which could well be the case, the actual Republican candidates would divide the true Republican votes among themselves. In that case, the progressive candidate could conceivably garner enough votes to win the Republican Party nomination with as little as 25% or 30% of the total votes cast since a plurality wins and there is no run-off among the top vote getters. If there were only one Republican candidate, the task would be considerably more difficult but not impossible in what is likely to be a low turnout election. If the progressive candidate were to become the Republican nominee, then the choice in the November election would be between the Republican’s progressive candidate and the Democrat party candidate. Either way, the district would be flipped to blue for all intents and purposes unless Republicans voted in mass for a write in candidate, an independent or the candidate of another conservative party. 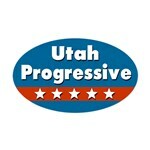 Given the short timeline for collecting signatures and the strength of the Republican Party in the third district, electing a progressive would be an extremely heavy lift but if all of the highly motivated progressive groups in Utah pitched in, it would be possible. And, even if the progressives did not succeed in getting their candidate on the August primary ballot, they could still help elect the most “moderate” Republican in the primary, thereby turning the district purple.